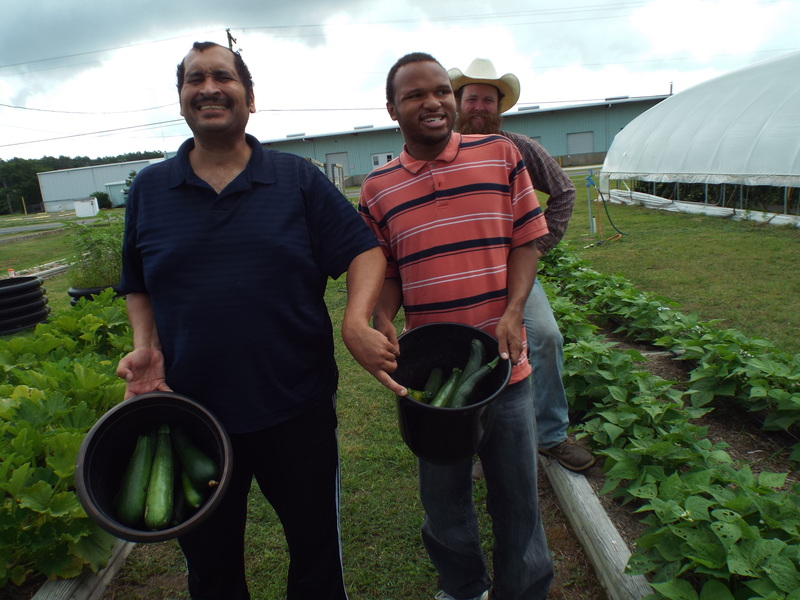 Zel and DJ posing with freshly picked zucchini while volunteering at the Food Bank. Pick on men, pick on with your bad selves! 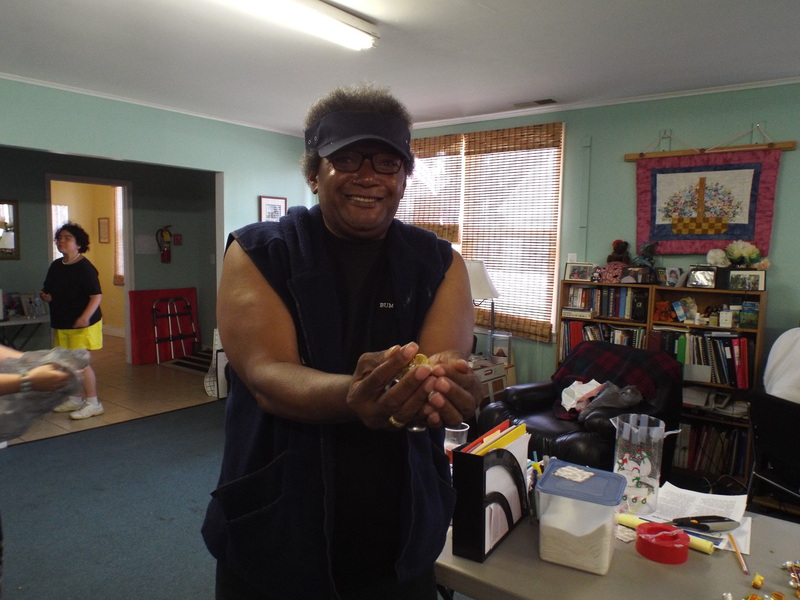 Zel harvested some yummy looking tomatoes as well while volunteering at the Food Bank. 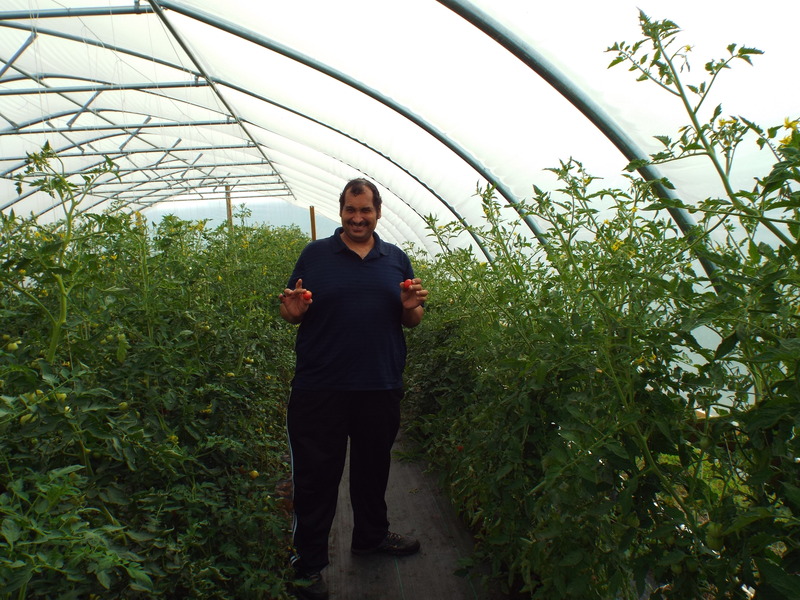 We hope our tomatoes here at No Limits look just as nice when they’re ready to be harvested! 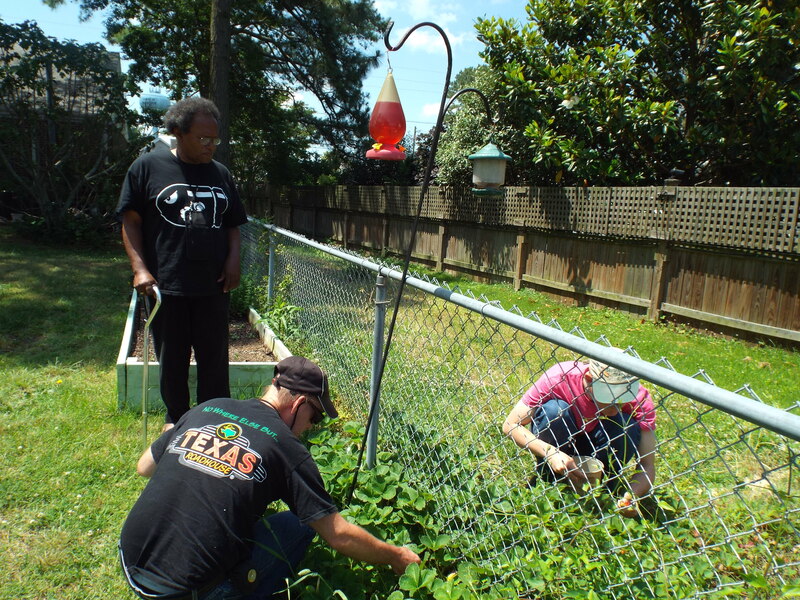 We were so lucky to have a group of high school students from Youth Works join us to help out with some yard work! In this picture the students are building us a new home for our strawberry plants! 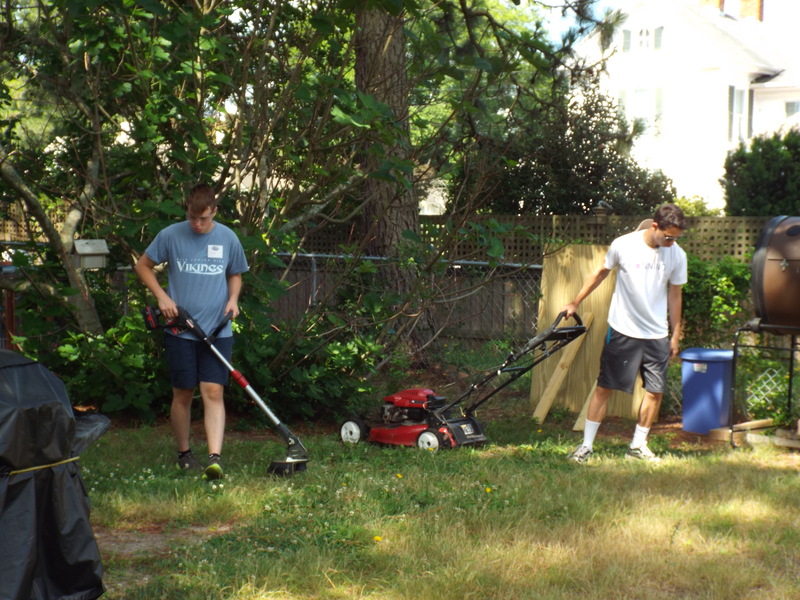 Another shot of some of the students from Youth Works mowing/weed whacking the yard. Everything looks great! Please visit us again soon, we really appreciate your hard work! 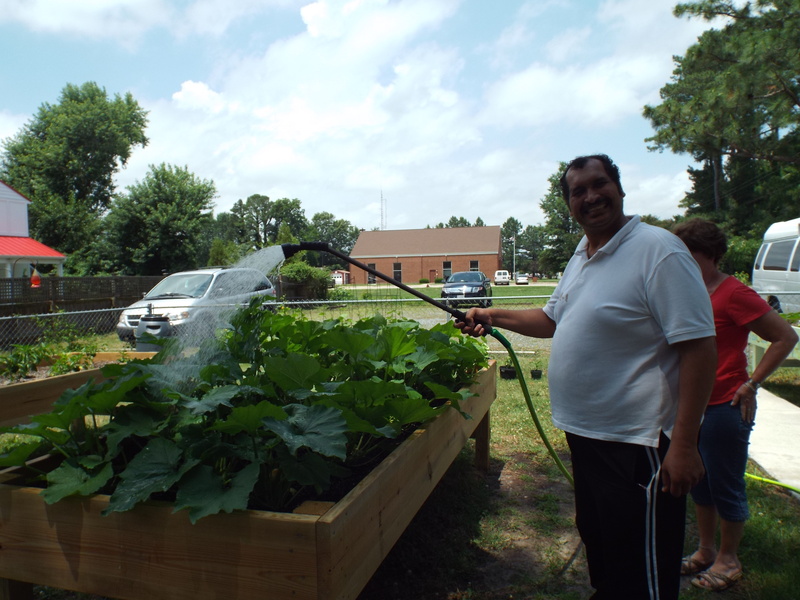 Zel watering our squash plants that were planted in our new, raised garden beds. Water on Zel, water on! 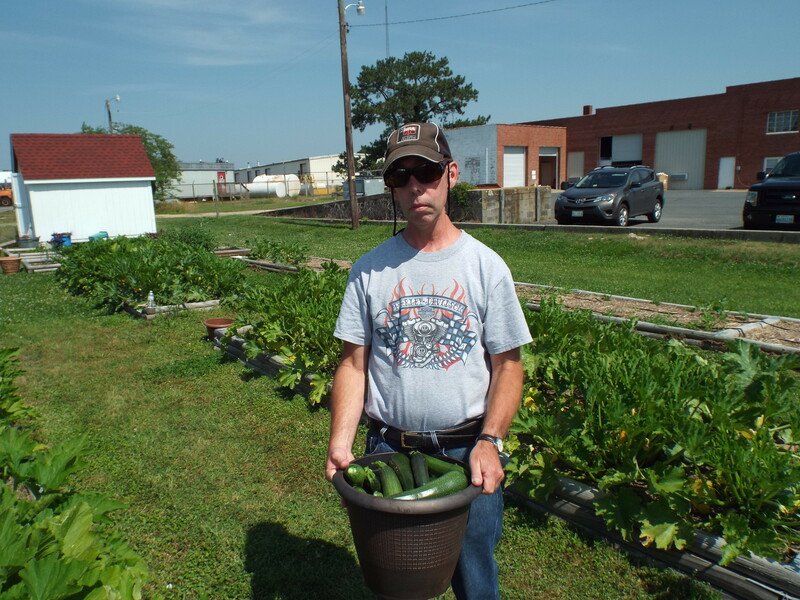 David helped to harvest some zucchini while volunteering at the Food Bank. Go David with your bad self! 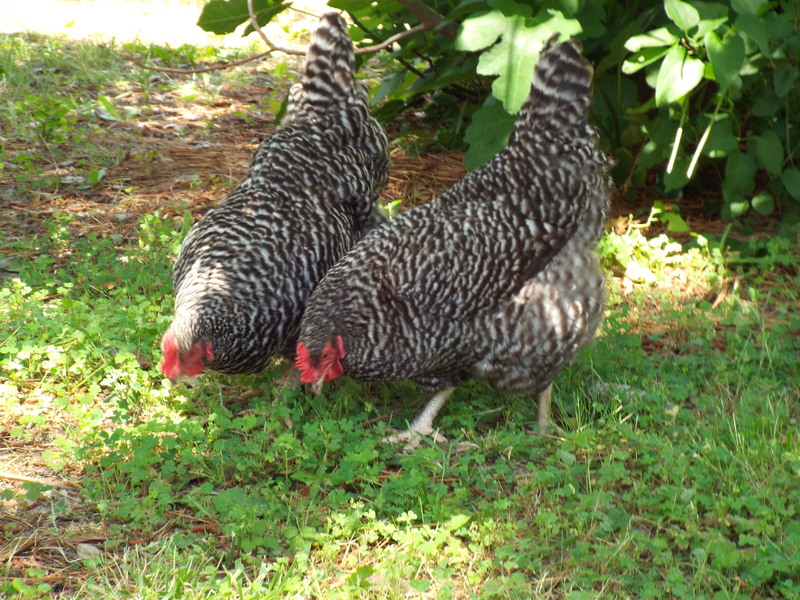 Gather that zucchini! Happy birthday Chris and many more! 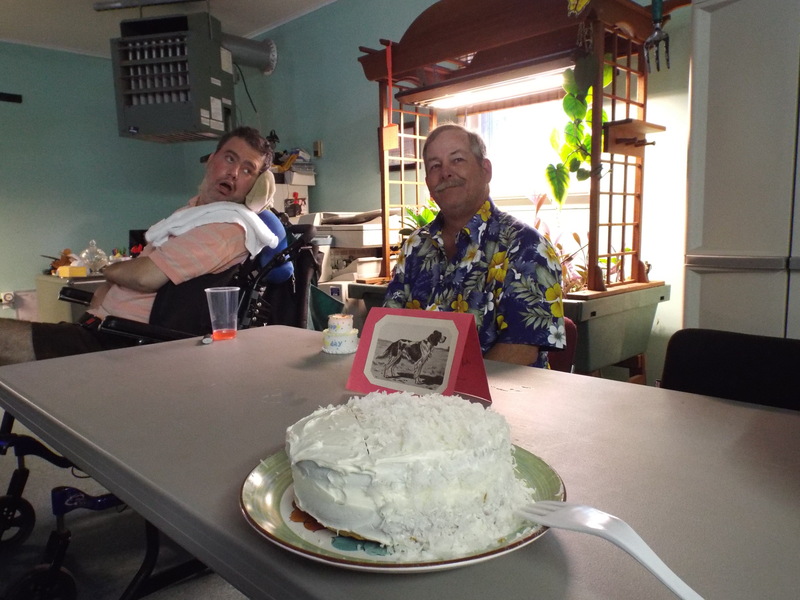 Chris posed for a birthday picture with his beautiful cake and his buddy Jason! 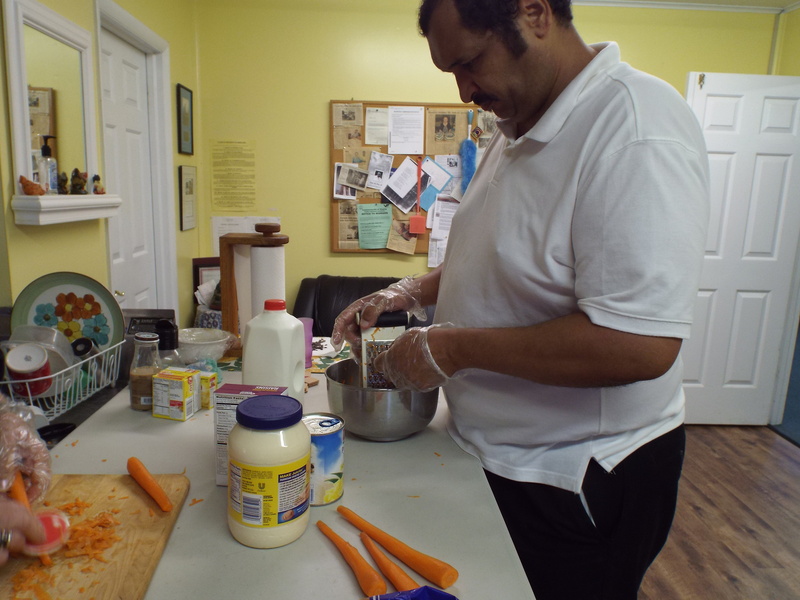 Zel grating some carrots to make a delicious grated carrot salad on our lunch making day. Grate on Zel, grate on!! Here we have a picture of GREAT men doing GREAT work! 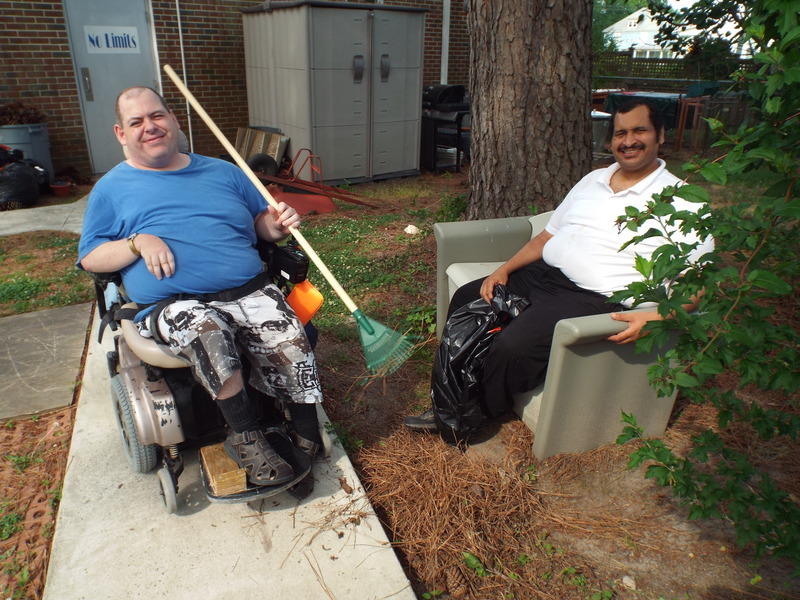 Matt and Zel helped to rake up the yard and it looks awesome! DJ giving the garden a bath! Keep up the good work DJ, everything looks great! 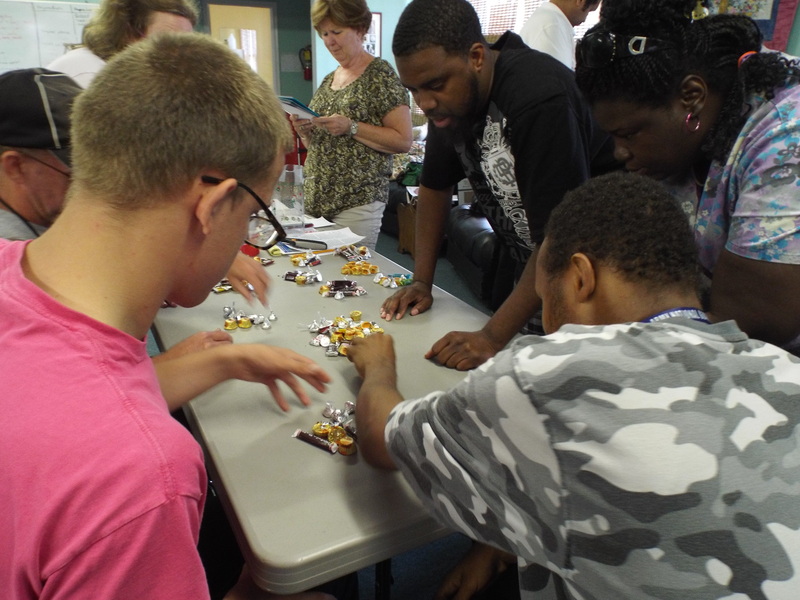 Our newest participant here at No Limits, John, won the candy count! Look how excited he is with his hands full of candy! Congratulations! 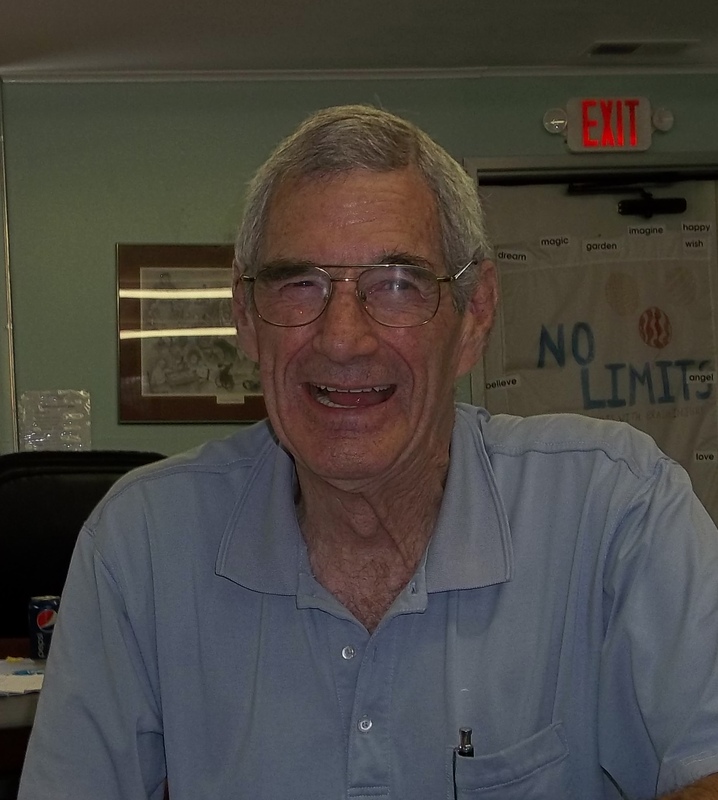 No Limits is saddened to report the passing of our former employee, C. Parks Nicolls. Parks never failed to make us laugh and he remained our faithful friend long after he stopped working here. He will be greatly missed. Rest in peace Parks. 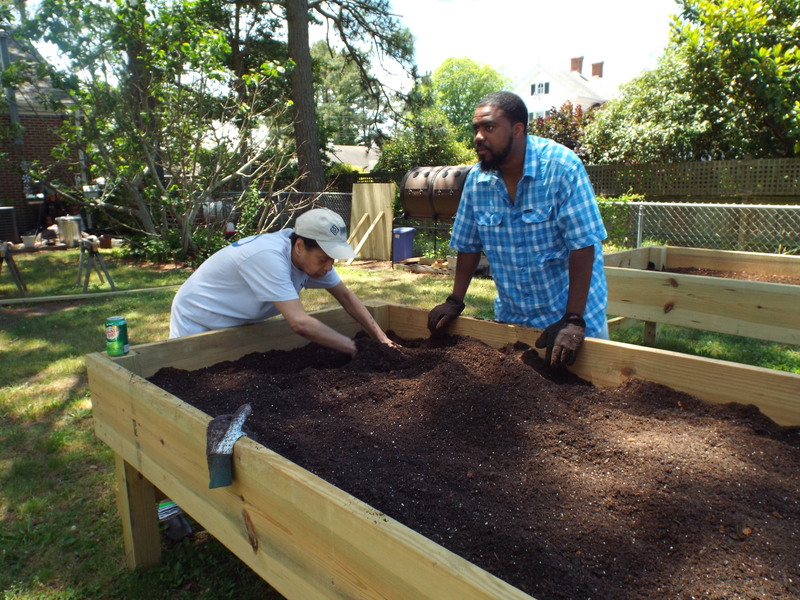 Diane and Steve mixing the soil to get ready to plant in one of our new garden boxes! Mix on y’all, mix on! 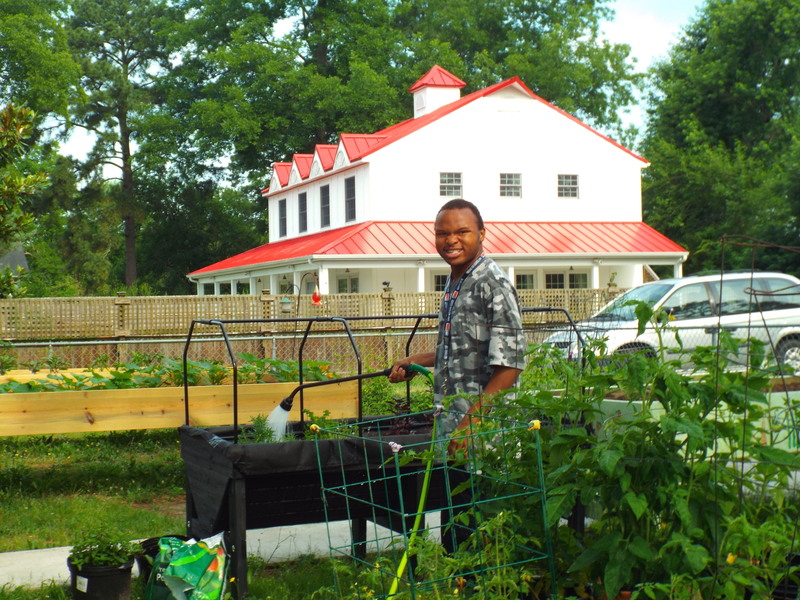 Thanks so much to Eastern Shore Healthy Communities and the Eastern Shore Health District for making us an Eastern Shore Community Garden!! David and Brandon picking some fresh strawberries out of the garden. What a delicious fruit! Save one for me please! 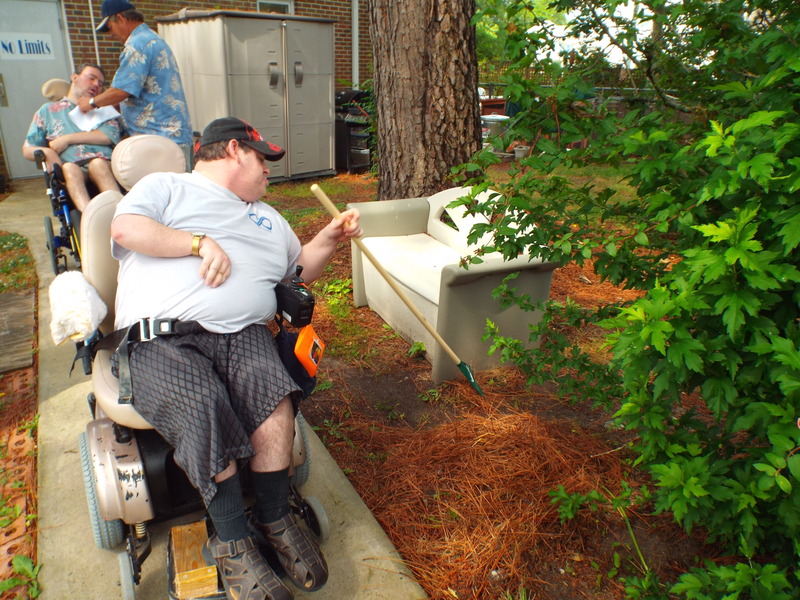 John is overseeing the strawberry gathering to make sure they pick the best ones! 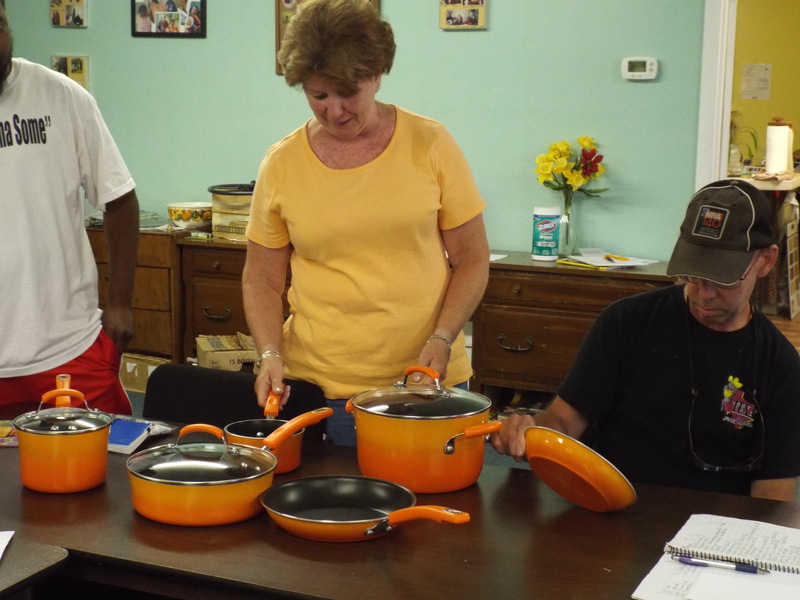 Maryann and David checking out our brand new pots and pans. We can’t wait to cook up a storm with this new, awesome cookware! Matt raking up the yard (mostly pine needles we’ve got so many!) You go young man, keep up the hard work! 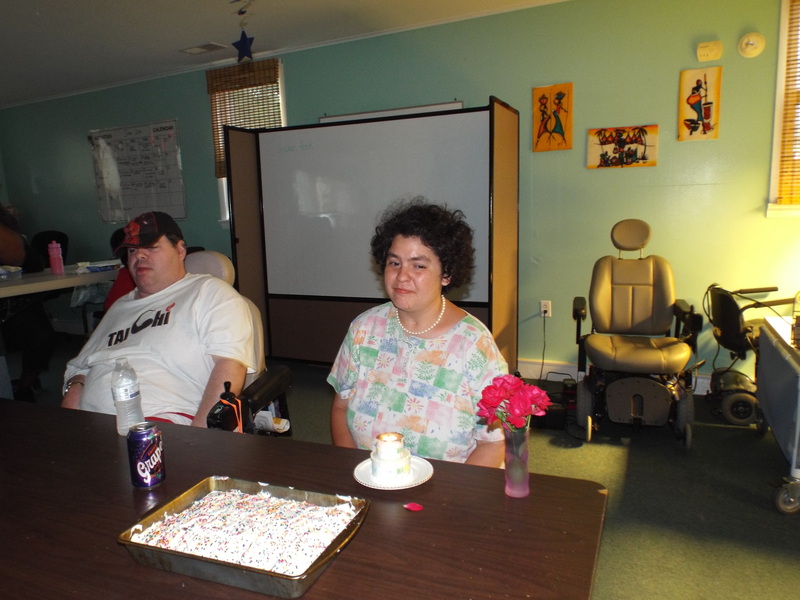 Beth posing for a picture on her birthday with her delicious cake and pretty roses. Happy birthday Beth, and MANY, MANY more! 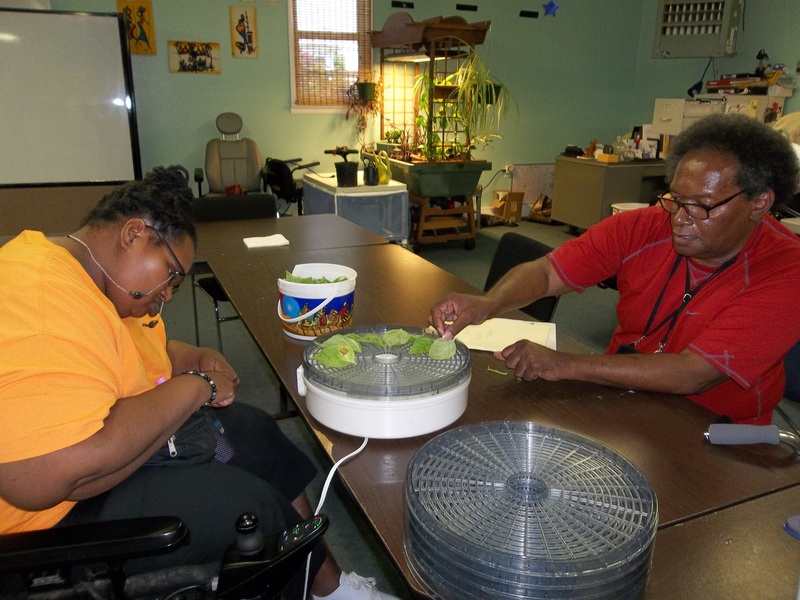 Amy and John working hard on dehydrating some basil leaves that we picked from our garden. Work on y’all with your bad selves! Check out this awesome song that Marianne Kibler showed us! The lyrics are great and it reminds us that there are no limits to what we are able to do!! 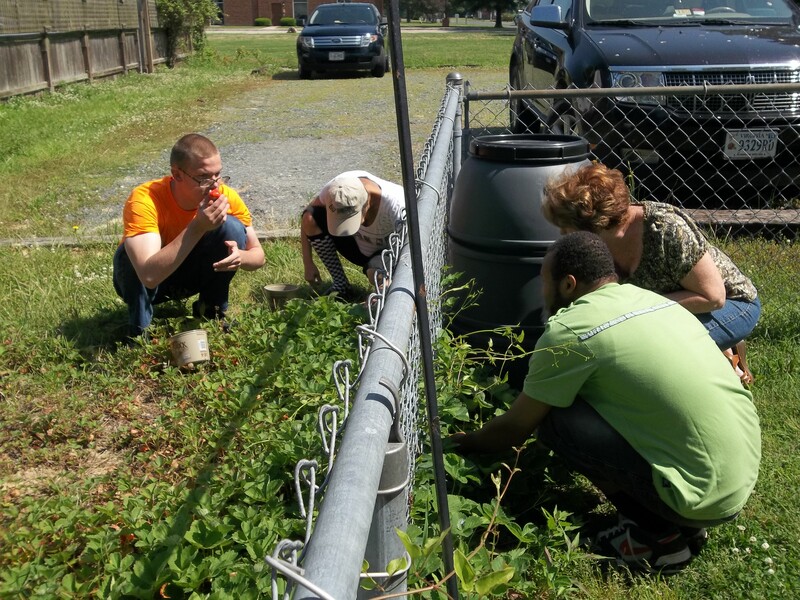 Brandon, Diane, DJ, and Maryann picking some fresh strawberries. They taste as good as they smell! Lip-smackin’ good! 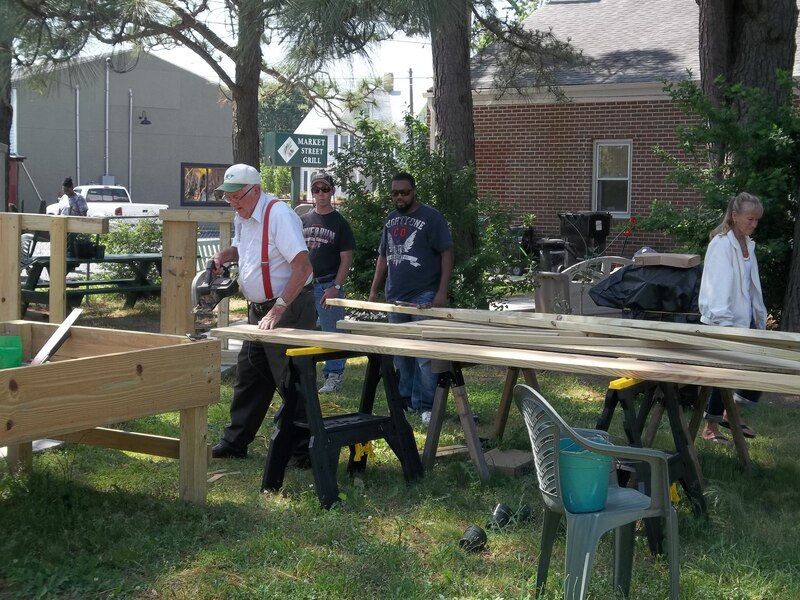 Philip, Steve, and David working on our new raised garden boxes. 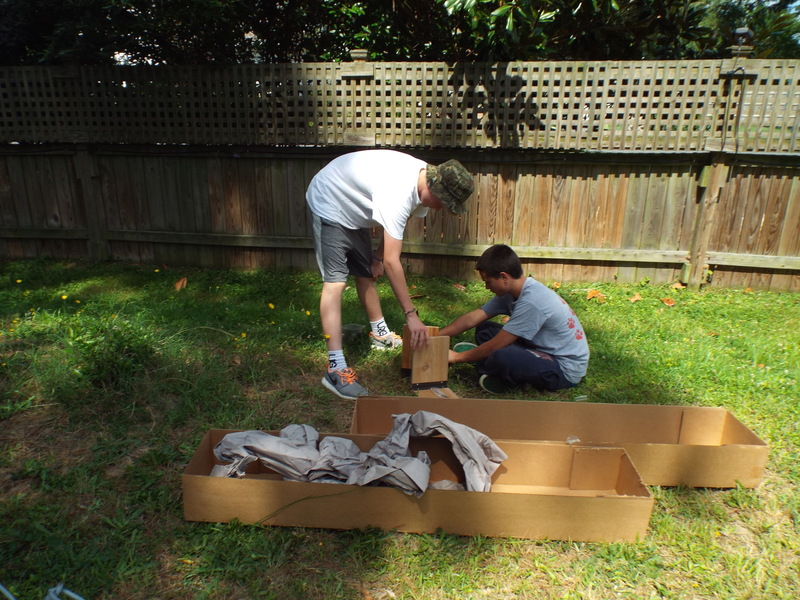 Thank you Philip for dedicating your time to help us build these boxes! We can’t wait to start planting in them! 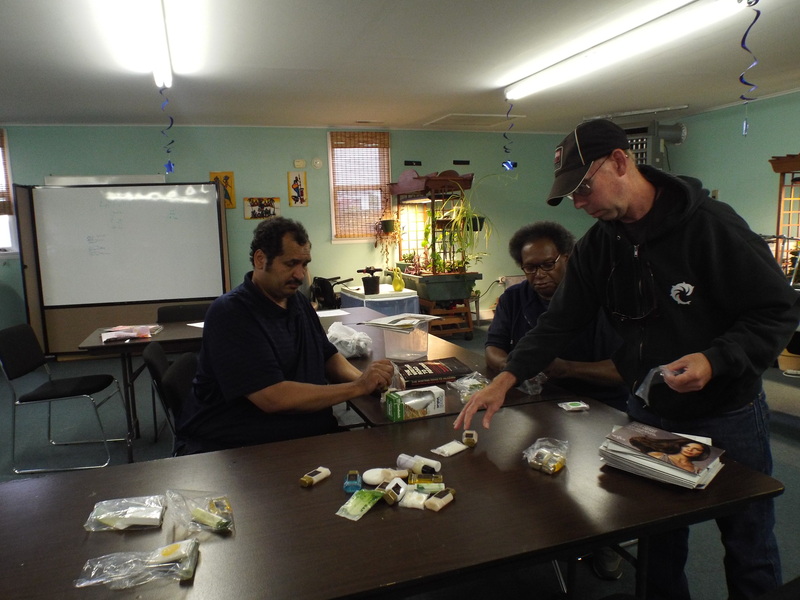 Zel, John, and David getting some miniature soap products together for us to donate to our friends at G.F. Horne. We hope that you all enjoy using them as much as we enjoyed collecting them to donate to you! We had a bit of an accident and broke a small piece of our brand new hose cart :(. 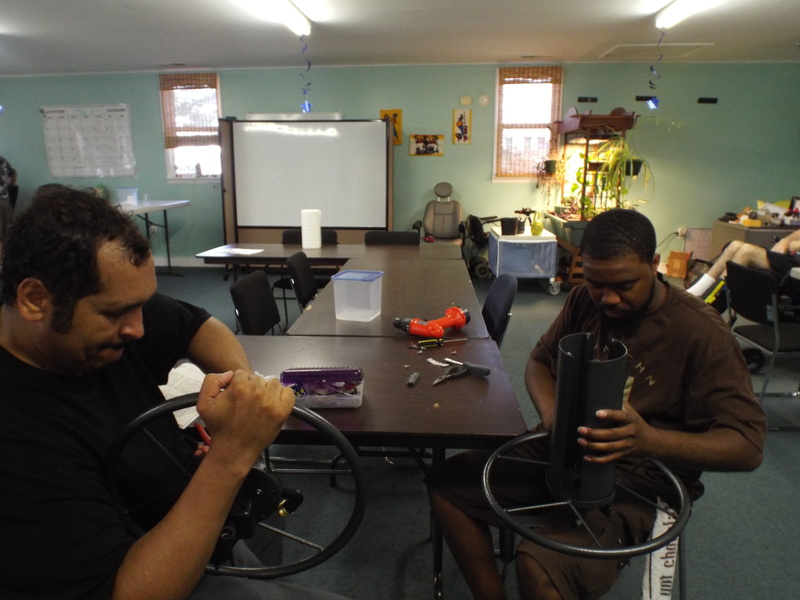 Thank goodness for Zel and Steve – they were able to take it all apart and order the piece we needed to fix it! 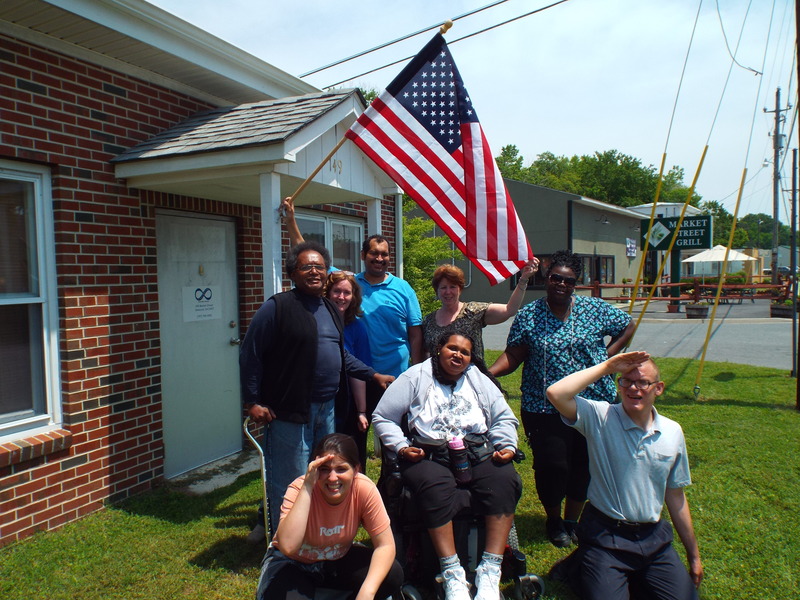 There are no limits to what we are able to do here! 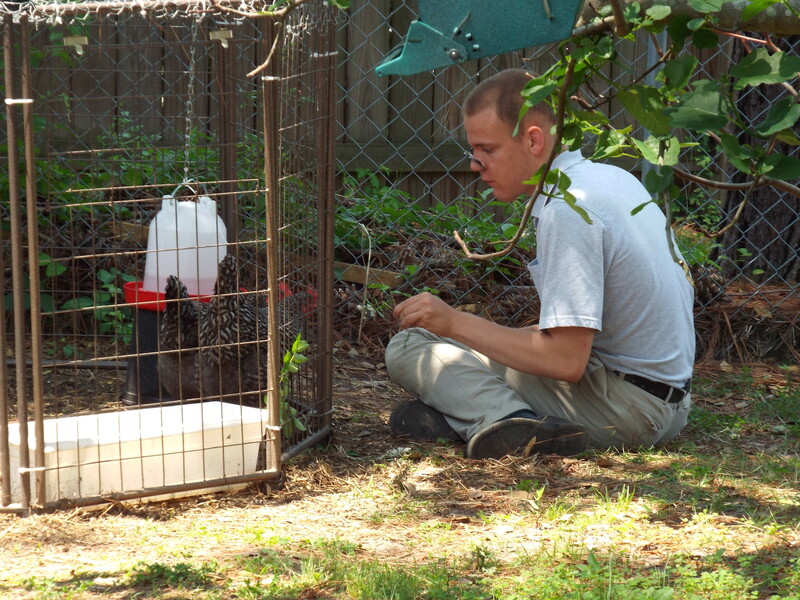 Brandon spending some quality time with our chickens feeding them some dandelion treats!